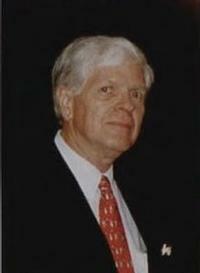 Stuart David Dodge, a Fellow of American Helicopter Society, died of cancer on June 8, 1997 in Ocean City, Maryland. Since March 1993 he had been vice president and director of the Bell Boeing V-22 Osprey Joint Program Office. An experienced manager of rotorcraft programs, Dodge previously directed all tendem-rotor product development at Boeing, including the Chinook and Sea Knight programs. He was formerly with McDonnell Douglas Helicopter Systems in Mesa, Arizona, where he was president of development , production and research for the A-64 Apache helicopter. Born in Leominster, a community in central eastern Massachusetts, Dodge graduated from the University of Massachusetts and later earned a masters degree in engineering from Drexel University. He also graduated from Harvard's management and development program. In a letter endorsing Dodg's nomination for AHS Fellow, S. Michael Hudson, president and chief operating officer of Allison Engine Company, said,"Stu has established himself through his career at both Boeing and McDonnell Douglas as an outstanding technical manager and he exemplifies the professionalism that is the corner stone of the society....He has been at the forefront of contemporary movement to bring the design and manufacturing desciplines together into integrated product teams."